Regular office hours are 9:00 a.m. to 4:00 p.m. Monday through Thursday. Please call before visiting to make sure someone will be in the office. Email a staff member by clicking on the name. The Reverend Andrew S. Taylor-Troutman (Pastor and head of staff) is a graduate of Union Presbyterian Seminary where he earned a Master of Divinity degree in 2009. He received a Master of Arts in Religious Studies from the University of Virginia in 2011. 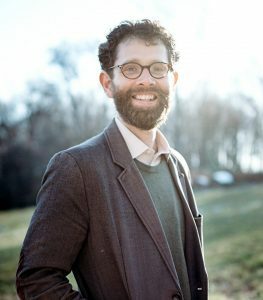 Prior to his first ordained call at New Dublin Presbyterian Church in Dublin, VA, Andrew served as Assistant Coordinator of Undergraduate Ministries, English teacher, and Director of Youth Ministry. Andrew is an accomplished writer and storyteller. He is a candidate for a Master of Arts in Writing at Lenoir-Rhyne University and has written three books: 1) Take My Hand: A Theological Memoir, a collection of stories and sermons from his first year at New Dublin Presbyterian Church; 2) Parables of Parenthood, a Bible study of certain parables of the New Testament illustrated with anecdotes from his son’s first year; and 3) A novel, Earning Innocence, about relationships and redemption for those who seek to build relationships and who have been redeemed. In addition, Andrew has written numerous articles and book reviews for various publications. At the regional and national level, Andrew is involved with NEXT Church, a network of leaders across the Presbyterian Church (USA) who believe the church of the future will be more relational, more diverse, more collaborative, more hopeful, and more agile. He has presented workshops at NEXT National Conferences (2012 and 2013) and has served on Planning Committees for NEXT Regional Conferences (2011 and 2014.) Andrew served as Chair of the Presbytery of the Peaks Committee on Preparation for Ministry (2011-2015). In addition, he has led retreats and served as a speaker and facilitator in numerous organizations in the Dublin area. Click here to read more. Jeremy Nabors (Director of Music Ministries) was born in Essex, England, and his family moved back to Birmingham, MI, where his parents worked for Ford Motor Company. Jeremy has been Director of Music Ministries for Chapel in the Pines since 2006. He also works at Chapel Hill High School as the Choir Director. In his spare time, he enjoys reading and singing in the Durham Choral Society and the Durham Vocal Arts ensemble. Jeremy is also the director of Vox Virorum: The Triangle Community Men’s Choir. Jeremy earned a Bachelor of Music degree from the University of Michigan where he studied with Jerry Blackstone and Sandra Snow. He also earned a MM in conducting from Michigan State University where he studied with David Rayl, Jonathan Reed, and Sandra Snow. Joelle Brummitt-Yale (Director of Children’s and Youth Ministries) has been an educator for 17 years, serving at the elementary, middle school, and community college levels. In 2013, she shifted from the public school world to Christian education by becoming the church educator at Pittsboro Presbyterian Church. She holds a bachelor’s degree from State University of New York at Geneseo and a master’s degree in education from NC State University. 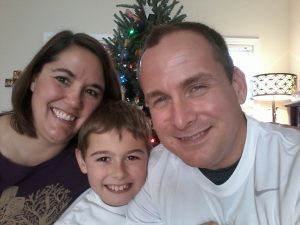 Joelle has also completed Christian education certification coursework at Union Presbyterian Seminary in Richmond, VA.
Joelle and her husband, David Yale, have one child, Finn, a 5th grader at Horton Middle School. A native of Pennsylvania, Rob Passow (Assistant Director of Music Ministries) holds a Master of Music degree in church music from Shenandoah University Conservatory in Virginia and a Bachelor of Music degree in composition from the Pennsylvania State University. Rob held several Organist and Choral Director positions in the Washington, DC metro area. Prior to his recent move to the Triangle area, he completed a 13-year tenure as the Music Director at Church of the Pilgrims (Presbyterian Church (USA)) in Washington. Rob’s choral and organ compositions have been performed in churches and concert venues in the United States, Canada, and Europe. In addition to conducting and playing piano and organ, Rob plays the cello and sings. He performed with numerous DC area choirs, including the Washington Singers and the Cathedral Choral Society. Nana Morelli (Office Manager) has worked at Chapel in the Pines since August, 2006. She lives in Dogwood Acres with her husband and best friend Dominic and three cats. They have two children: a son, Troy, who lives in Greensboro and a daughter, Kaitlin, who died in 2014. Janet Askew (Bookkeeper) grew up in South Carolina and graduated from Winthrop University in Rock Hill, South Carolina. She currently lives in Hillsborough with her husband and two sons. She has almost twenty years of non-profit accounting experience and began working for Chapel in the Pines in 2009. 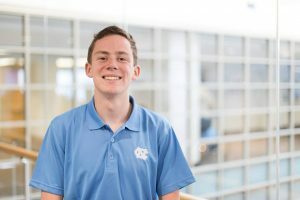 Vance Stiles (student intern) from Black Mountian, NC, is a sophomore at UNC-Chapel Hill majoring in Public Policy and Economics. Vance is a member of the Presbyterian Campus Ministry at UNC and will be serving as the Interfaith and Partner Church coordinator for the 2018-2019 school year. He calls Black Mountain Presbyterian Church his home church.